What he means is that if you have changed your mind, you’ve changed yourself. A new way of thinking is a new action. The ability and the power to do the right thing begins and ends in our thoughts. 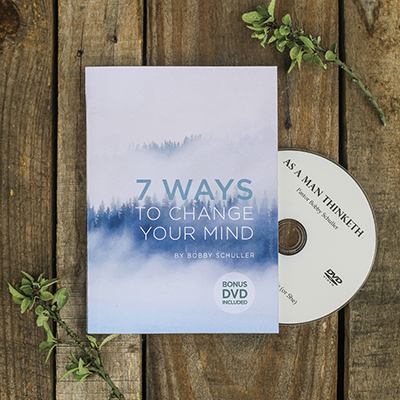 This powerful and practical booklet from Bobby Schuller gives you step-by-step guidance through seven important biblical mandates that have the power to transform! Please give generously and request this life-changing booklet today!